6 February 1559. In the great gallery at Whitehall Palace Elizabeth I, who had been queen for only three months, received a deputation from the House of Commons. Led by their speaker, Sir Thomas Gargrave, the politicians filed in. They had come, said Gargrave, to request that the queen marry, ‘as well for her own comfort and contentment, as for assurance to the realm by her royal issue’. Elizabeth, who was still only twenty-five years old, received their address courteously, thanking them ‘for the love and care which they did express, as well towards her person as the whole state of the realm’. She had, however, ‘made choice of a single life’ and was resolved to ‘preserve in a virgin’s state’. There was, however, a time that her virginity had been rather less surely guarded. A little over a decade before – in June 1547 – the English court had been rocked by the news that the queen dowager, Catherine Parr, had secretly married. For her own fourth husband, the sixth wife of Henry VIII had chosen Thomas Seymour. Thomas was handsome and, as the uncle of the new king, Edward VI, highly eligible. He was also ambitious and, as one contemporary had it, ‘somewhat empty of matter’. He was already disaffected with an unequal share of power, which saw his elder brother become both Lord Protector and governor of the king. After first proposing matches with the two princesses, Mary and Elizabeth, he had settled on their stepmother, joining her household at Chelsea that month. At Chelsea, Thomas found his wife’s thirteen year old stepdaughter, Princess Elizabeth. When Queen Catherine married Thomas, along with the promise in the conventional marriage vows that she would be ‘buxom’ in bed, she vowed to obey him. The fact of her marriage allowed him dominance over every aspect of her person for, as a married woman, she ceased to exist independently in law. Everything that married women owned, down to the clothes on their backs, passed to their husbands, to whom wives were utterly subject. As well as regularly helping himself to his wife’s generous widow’s pension, Seymour also arrived at Chelsea as the house’s new master. The first sign of Thomas’s interest in Elizabeth was a dramatic one. One morning, he entered her bedchamber as she lay in bed, pulling back the bed-curtains. Leaning into the bed, he called ‘good morrow’, before seeming to pounce, as though he would climb in with her. Stunned and blushing, Elizabeth shrank deeper into the bed, ‘so that he could not come at her’. It was to be the first of many such visits with the girl, all of which are recorded in the testimony of her closest servants. Sometimes, the princess who was (as she admitted) ‘no morning woman’, made an effort to rise early, not wanting to be caught by surprise. Yet, he still came, appearing in the doorway ‘barelegged and in his slippers’, before again bidding her ‘good morrow’ and asking ‘how she did’. Once, as Elizabeth turned to move away, Thomas reached out to smack her on the back and then ‘familiarly’ on her buttocks. For a girl who blushed even to brush hands with her stepmother’s husband when dancing, this was startling. She fled to her maidens, but Seymour followed, speaking playfully with the girl’s attendants as if nothing were amiss. The danger to Elizabeth’s reputation was very real. Her lady mistress, Kate Ashley, who had once encouraged Seymour’s suit, recognised this. She had earlier moved the pallet bed from Elizabeth’s bedchamber at Chelsea so that the girl slept dangerously unchaperoned. This had probably been done so that Kate could share a bed with her husband, rather than constantly supervising the girl, but it looked suspicious. As Seymour’s visits increased, Kate confronted him in the gallery at Hanworth, where the household moved later in the summer. Berating Thomas, she stated that ‘these things were complained of, and that My Lady was evil spoken of’. Seymour was having none of it, swearing fiercely ‘God’s precious soul!’, before declaring that ‘he would tell My Lord Protector how it slandered him, and he would not leave it, for he meant no evil’. There was little else she could do. 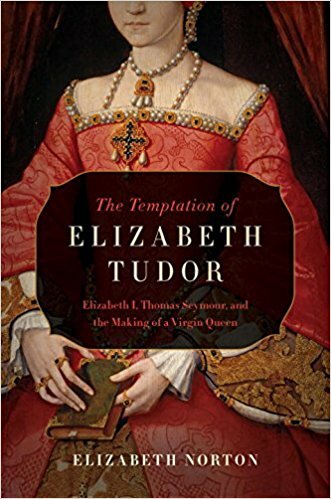 Catherine Parr, too, failed to protect Elizabeth from Seymour’s growing interest. He was rumoured to be an ‘oppressor’ in his domestic arrangements, and Catherine, though she loved him, dared not vex him. She joined in some of the early morning romps herself, perhaps in an attempt to convince herself that all was as it should be. Nonetheless, she also admonished Kate to keep a closer eye on her charge while, in the autumn of 1547, she left Elizabeth behind at Hanworth when the household moved to London in time for the opening of parliament. She could not keep them apart indefinitely, however. On finding the pair locked in an embrace in June 1548, she finally sent the girl away. For propriety’s sake, Thomas accompanied Elizabeth part of the way to Cheshunt, where it had been hurriedly arranged that she would stay. 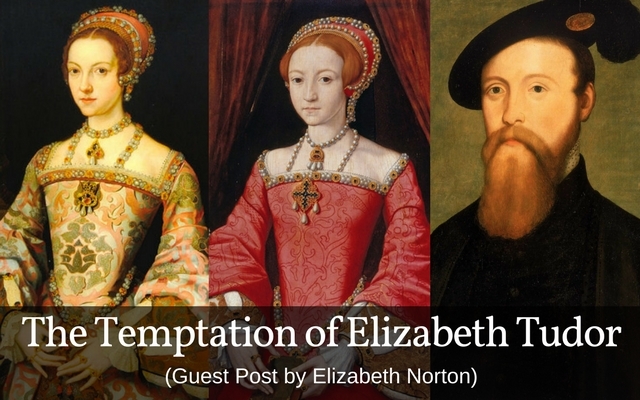 While the pair never met again, this was far from the end of the story of his temptation of Elizabeth Tudor. On 5 September 1548, the thirty-six year old queen died in childbirth, leaving Thomas Seymour, once again, ‘the noblest man unmarried in this land’. He had no plans to remain that way for long, with his thoughts – and his ambitions – turning squarely towards Elizabeth. In a little over six months, he would be dead, while Elizabeth found herself under interrogation. As the embarrassing details of her relationship with Thomas began to emerge, she remained composed, infuriating her interrogator will her failure to ‘cough out matters’. For the rest of her brother’s reign, Elizabeth kept away from affairs, dressed in sombre black. She would never again allow her heart to rule her head, commenting only when she heard of Thomas’s execution that ‘this day died a man of much wit and very little judgment’. Yet in all her long life, it was Thomas Seymour who came closest to being her husband. I have loved history and, particularly the Tudor dynasty and the queens of England since first picking up a book about the kings and queens as a child. 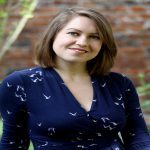 I got into archaeology as a teenager and studied Archaeology and Anthropology at the University of Cambridge, focussing particularly on the medieval period. During my degree I was awarded two scholarships by my college, New Hall, for my work and eventually attained a double first class degree. After leaving Cambridge, I completed a masters degree at Oxford University in European Archaeology. The focus was again on the medieval period, with my dissertation on the Anglo-Saxon sculpture of the South Saxon kingdom. People always speculate on why Queen Elizabeth I, never married. It is clear, that over her lifetime, she began to equate marriage, with death. Her mother was executed by her father, many women she was acquainted with died in childbirth, including her step-mother, Catherine Parr. Upon marriage, she would have had to relinquish all of her hard won power as Queen. It’s a shame, but who could blame her? She was always treated as a suspect, even as the most powerful person in her Country.